QUESTION: Marty, you have mentioned how everyone tends to reduce events to a single cause. Is this the problem you refer to as the lack of dynamic thinking? Is there a way to change this? ANSWER: Yes. But it takes work on an individual basis. I studied not just my own thinking process in trying to create a computer program, but I dove into the depths of trying to comprehend the brain and its function. To be able to create a true thinking machine, I had to grasp how the brain functioned from the ground up. 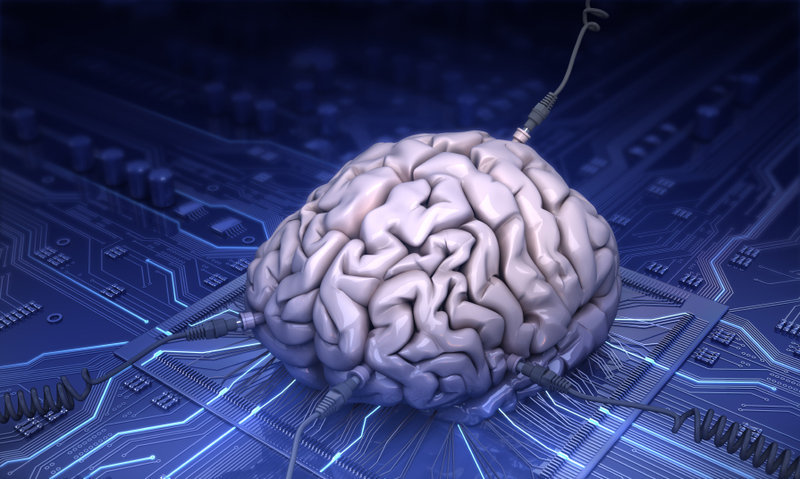 Artificial Intelligence offered by 99% of the people out there is simply imitating the brain with look-up tables. Real Artificial Intelligence has to reason on its own. That is what has to be achieved – not mimics. What I came to understand was we learn from all our senses. In some people it is visual that is the dominate trait. This group of people cannot only see a face in a cloud and normally have the ability to paint or draw what they see. They become proficient at charting and pattern recognition in markets. They can see the dots and connect the picture. This is why I try to include images with whatever I write. If I write about someone, I try to always include their picture. This allows the reader to associate the content on two levels – meaning and visual. Some people are most dominant with sound and would rather listen to a PodCast than read (which we will be introducing as well). They are typically great at music. Then there are those who can be sensitive to smell while others are qualified to be a wine taster. Each of us have one really dominant sense. Our learning will be enhanced by that sense when it encounters new data. If you went to dinner with a person your mind is recording everything from the music, the taste of the food, the visual aspects of the location. Years later, you can access that memory even randomly by any of the senses that recorded something unusual. That will bring up the entire event. Your brain is actually a super computer acting with massive storage with each event accessible from any sense. School is generally a complete failure. It teaches classes, but it fails to bring the connections together. Hence, 65% of graduating students cannot find employment in the field they went to school for and I have met more engineers as CFOs than people with MBAs in business. The engineer is taught to think out of the box where the MBA is taught this is how the system works and stay in that box to get ahead. You can exercise your brain like any muscle. There is a site utilizing some of these aspects Lumosity. It is free. Go ahead. Try it. You will see how it tries to exercise your brain in a dynamic manner some people call multitasking. French studies have show you keep learning as long as you use your brain. To stay young, use your mind. My father’s friends all died within 2 to 3 years after retirement. They lost the edge to keep going. As long as there is always something new, it keeps me active and always thinking. I recently saw an old friend after 18 years and he was shocked saying – you haven’t aged. Stay active mentally and it keeps you young.